Get email hosting for your group for just $15/mo. Greatmail works in all versions of Outlook, Thunderbird, Apple Mail, Gmail, webmail and any POP3/IMAP client application, tablet or mobile device. Standard Edition email hosting $1/mailbox/month. Dependable cloud based email hosting with spam filtering, antivirus protection, generous storage and webmail. Compatible with Outlook and all other POP3/IMAP clients. High volume SMTP service for responsible senders. Outbound relay service for transactional messages, email marketing campaigns, newsletters and other applications. Dedicated email servers, clustering and multiple IP load balancing for high volume senders. Fixed monthly cost with unlimited sending and reputation monitoring. Greatmail is an email service provider (ESP) specializing in business class email hosting, SMTP hosting and email servers. For ISPs, application programmers and cloud developers, we also provide custom solutions including dedicated IP servers and process specific, load balanced configurations with multiple servers. From enterprise level antispam and virus protection to inbox deliverability consulting for email marketers, we have the firsthand experience to consistently deliver cost effective solutions for you and your clients. Greatmail is a featured email hosting provider at Hosting Advice. 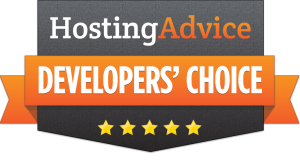 For more information and to read what Sean Garrity at Hosting Advice had to say about Greatmail, please visit the Hosting Advice Developer's Choice article. The EU GDPR has a significant impact on personal data protection for individuals in the EU. As a US based email hosting provider with global clients, we've taken steps to be GDPR compliant for our EU customers. A look at free vs. paid email, privacy and your business. Learn how our clients are using Greatmail. How we handle and protect your email data. What is the difference between IMAP, POP3, and SMTP? IMAP, POP3 and SMTP are different protocols that enable you to use your mailboxes in email clients like Microsoft Outlook and on mobile devices. Specifically, IMAP and POP3 are used to retrieve incoming mail from your mail server while SMTP allows you to send outgoing mail messages to recipient addresses. Think of these protocols like connectors allowing your email client or mobile device to communicate with your mailbox on the server. Instead of having to go to a webmail application or use a special mobile app to use your mailbox, IMAP, POP3 and SMTP let you use desktop email clients (Outlook, Thunderbird, Apple Mail etc.) and the built-in mail applications on Android and iOS mobile devices. To use these protocols in your email client or on your device, you will at least need to know your email address and password to be able to connect to your mailbox. Depending on the client or device you are trying to use, you may also need some more information like your server host name, port numbers and encryption settings. However, many email providers have autodiscovery services that attempt to manage the configuration settings automatically using just your email address and password. Email clients and mobile devices will use either IMAP or POP3 for your incoming mail but not both. Which protocol you decide to use for incoming mail will depend on your personal preference. IMAP synchronizes mail with the server allowing you to have a unified experience on multiple devices while POP3 downloads messages from the server letting you decide to delete them right away or after a specified period of time. If my domain's MX record is pointed to one provider, how am I able to access my mailboxes at another provider? This is a common source of confusion during transition from one email hosting provider to another. The hosting of your domain's mailboxes and the pointing of your domain's MX record are distinct. The MX record in your domain's DNS specifies where incoming mail to mailboxes at your domain is routed. However, it is possible to have your mailboxes set up with different email hosting providers simultaneously which is commonly done when you move your email hosting from one service to another. During this transition period, you can access your email at both the old and new hosts. This makes it possible to test connections to the new host before switching your MX record to their servers. It also enables you to migrate mailbox data before, during or after the MX record update since both the old and new hosts can be accessed via IMAP or other protocols.